On November 29th, a referendum was passed in Switzerland to ban the building of minarets. The referendum passed with a 57% majority vote and a 53% voter turnout. Many in the Swiss government have opposed the referendum but according to the Swiss system the referendum will be added to the Constitution. There are a number of aspects of this recent vote that are troubling. 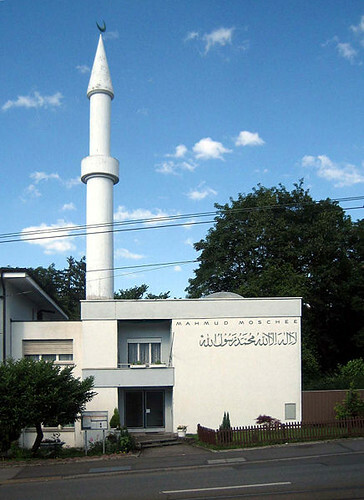 The Swiss People’s Party, initiators of the referendum, argues that minarets represent a process of Islamization in Europe and thus should be banned. The campaign poster further emphasized the fear that proponents of the referendum harbored towards Islam and Muslims. The poster showed a women clad in black wearing a niqab standing with a backdrop of minarets shaped as missiles. With only 4 minarets total in all of Switzerland, many are troubled that there would be large support for this referendum, especially in a country that has a reputation of religious tolerance and has accepted many refugees. Moreover, the referendum does not ban the building of mosques; it is quite specifically a ban against minarets. Although minarets are no longer used to call the prayer in many Western countries, for many it remains an identifying marker of a mosque. So by banning this symbol, many Swiss Muslims felt that the referendum sent a message that they are not respected or accepted as a religious group. Opposing Swiss politicians, however, have attempted to reassure Swiss Muslims that this referendum is “not a rejection of the Muslim community, religion or culture” rather it “reflects fears among the population of Islamic fundamentalist tendencies.” The same politicians emphasize, though, that they do not agree that banning minarets will counter extremist tendencies. Tariq Ramadan, a prominent Swiss Islamic scholar, argues that what has happened in Switzerland is indicative of a larger European trend. He asserts that Europe is at a crossroads in terms of what it means to be European as Muslim communities are becoming more visible and integrated into European societies. For Ramadan, each European country has a symbol of this fear: in France it’s the headscarf, in Denmark it’s the cartoons, in Germany it’s the building of mosques. At the end of the day, however, Ramadan emphasizes that it is incumbent upon Swiss Muslims, and European Muslims in general, to become more active and show their investment in the societies in which they live–that’s how a referendum like this one can be stopped. What do you think of the banning of minarets? Do religious symbols of non-Christian groups compromise the values of European society? How do you think this ban will affect Switzerland’s reputation for religious tolerance? What do you think the ramifications of the ban will be on other European nations? Please share your comments below. This entry was posted in Europe, Politics and tagged #SSRCWCG, Europe, Mosques by Reem. Bookmark the permalink.